Freeze the two balls at diamond no. 7 as shown. 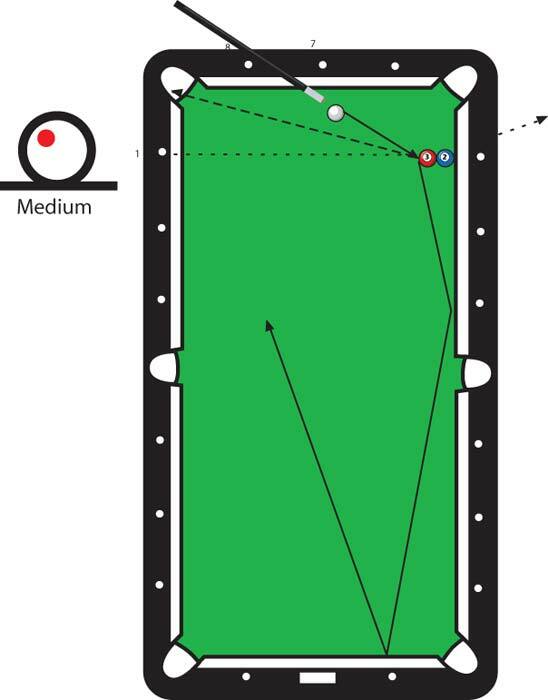 Position the cue ball so that you are shooting between diamonds no. 7 and 8. Hit the ball with top left using a moderate stroke. Aim the 3 ball in the direction of the dotted arrow. If the 3 ball kisses across the table toward diamond no. 1, hit less ball. If it kisses toward diamond no. 8, hit more ball.